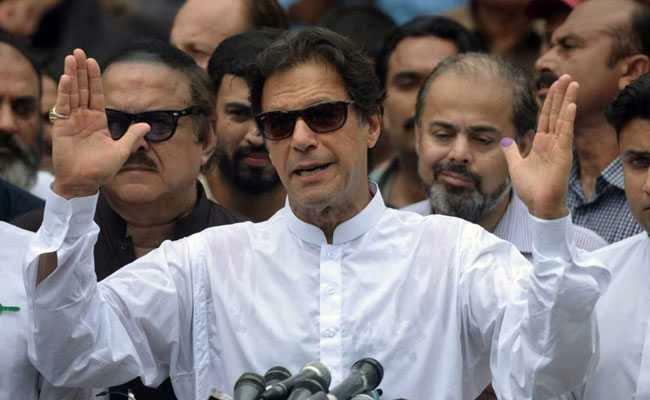 The victory of Imran Khan, supremo of Tehreek-e-Insaf party (PTI), in the July 25 elections was no surprise. After all, the army-judiciary compact had unlevelled the playing field sufficiently to make rigging redundant. A Zia-ul-Haq era clause in Pakistan’s constitution that leaders lacking ‘sadiq’ and ‘amin’ — righteousness and honesty — stand disqualified as members of Parliament, was used by the Pakistan’s Supreme Court to debar Nawaz Sharif. Subsequently, the National Accountability Bureau sentenced him and his daughter Maryam to jail and steep fines were imposed on them for owning properties in London. Probably what the army had not scripted was the return of the father-daughter duo to face arrest. This galvanised the PML(N) cadres, avoiding a complete rout in Punjab and denying Imran Khan’s party outright majority at the national and Punjab levels. With 115 seats, out of 273 parliamentary seats up for grabs, the PTI is ahead of the rivals, PML(N) and Bhutto-Zardari led PPP. In Punjab, the PML(N) is ahead, though the PTI may pip it to garner a majority. Imran Khan, speaking immediately after his win, spelt out his vision for a ‘New Pakistan’. Domestically, he sought equitable development with focus on health and education. Abroad, he ticked all the boxes, including a desire to improve relations with India. While his reiteration of Kashmir as a core issue was understandable, his denouncing Nawaz Sharif for pillorying the army over the 26/11 attack in Mumbai left a bad taste. His offer to take two steps forward for each one India took sounded unrealistic when he cannot, as yet, part ways with his army sponsors. What then is likely to be the trajectory of India-Pak relations? The news that Imran Khan had invited Sunil Gavaskar, Kapil Dev, Navjot Sidhu and Aamir Khan for his swearing-in generated debate in India. Sidhu was quick off the blocks when, at a press conference, he accepted the invite. While his grateful adulation of former Pakistani captain was typical Sidhu hyperbole, there was merit in his reasoning that Punjab stood to gain if the ties normalised, allowing trade and people-to-people contact. Since Partition, Punjab has been delinked from its natural connectivity to Central Asia, Afghanistan and Iran, which traditionally made it a vital conduit for regional trade. As a landlocked state, distant from mineral resources in India’s East and ports, it has been forced to harness its agricultural potential, with diminishing returns of late. Subsequent news that no such invites were imminent — contradicted again by Gavaskar apparently seeking the Centre’s guidance while Aamir Khan played safe by excusing himself — compel the re-examination of the issue. Pakistan policy of the NDA government has been in limbo since the surprise December 2015 visit by PM Modi to Lahore to engage Nawaz Sharif, albeit in a social context. If the expectation was that Sharif would be able to get the army to curb jihadis while the two leaders built a momentum in bilateral engagement, India miscalculated. Such hobnobbing was likely to irritate elements at the army headquarters and beget retaliation. Within weeks, the Pathankot air base was attacked in January 2016. But what probably embarrassed Modi personally was that while he cleared a visit by a Pakistani investigation team, which included an ISI component, to visit the airbase, Pakistan denied permission to an Indian team to visit the country. Subsequently, Burhan Wani’s killing in July 2016, destabilising security in the Valley, and the attack on our Army camp at Uri in September led to the hardening of the Modi government’s Pakistan policy. The preconditions for the resumption of formal talks were hardened from seeking punishment of 26/11 perpetrators, including the top JeM leadership, to extending it to those behind Pathankot and Uri attacks; and further to ‘no dialogue’ till terrorism ends. The conundrum surrounding the two decades of comprehensive dialogue, interrupted by terror episodes, has been that the issues seek to move simultaneously on a mix of proposed CBMs as well as disputes ranging from Sir Creek to Siachen and Kashmir. Globally, CBMs precede dispute resolution and facilitate an environment for settling issues. Pakistan, however, wants quick progress on the most complicated issue: Kashmir, while dragging feet on simpler issues like people-to-people links and trade. The deadlock may be useful for domestic politics but lands India in a corner. Zero tolerance to terror means even one jihadi can undermine the ties. Invitation to four Indian icons was thus a great idea to break the deadlock while Imran Khan’s desire for peace could be gauged at little political cost to the government. He would either begin to modify the army’s thinking or start distancing himself from it. If he does neither, the hard policy can be continued. Pakistan faces a financial crisis with only $9 billion in foreign reserves, equivalent to two months’ import cover. US Secretary of State Mike Pompeo warned that the IMF bailout could not be used to repay China. Small handouts may come from the Saudis in lieu of an additional 1,000 troops. But salvation lies in normalising trade with India. Imran Khan also cannot deliver on clean governance without recapitalising the state sector and rejigging the taxation regime. Meanwhile, the Modi government may avoid another risky outreach with elections approaching. New Delhi’s advice to Gavaskar thus may be what he followed against West Indian bouncers: duck and await a better ball to hit.